If you feel like you and your staff have been packing on the pounds over the years, you might not be wrong. Look around the office and you’re unlikely to ever see your staff get up from their desks even during lunchtime. In fact, according to Herbalife’s Nutrition At Work Survey, 85% of respondents admitted to spending at least six hours a day sitting at their desks with half eating lunch at their work desk two to five times a week. Polling 5,500 full-time workers in 11 APAC markets including Malaysia, Singapore and Hong Kong, the survey aimed to understand the lifestyle habits and attitudes of the region’s modern workforce. To make things worse, six in ten exercise admitted to getting less than 30 minutes of physical activity a day at their workplace and 83% revealed that they exercise less than three times per week. 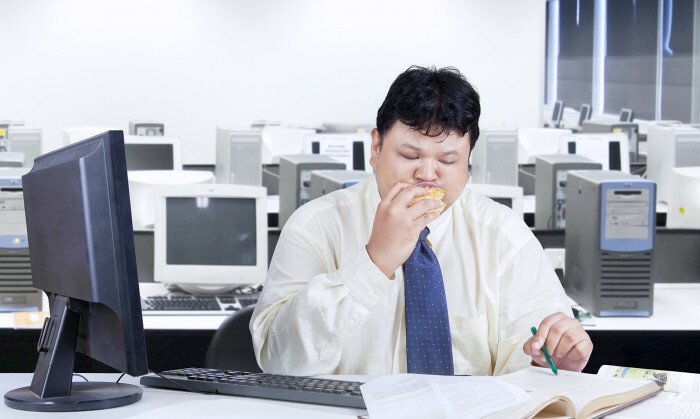 The survey pointed out that leading such a sedentary lifestyle places a majority of these workers at a greater risk of obesity due to weight gain (74%) with other problems including, having less energy (53%), having poor digestive health (53%) and high stress levels (50%). Why is the workforce leading such a sedentary lifestyle? More than half of the respondents revealed that they lack the time for exercising, 30% said that they forgot to keep active and 24% don’t keep active because no one else at work does so. 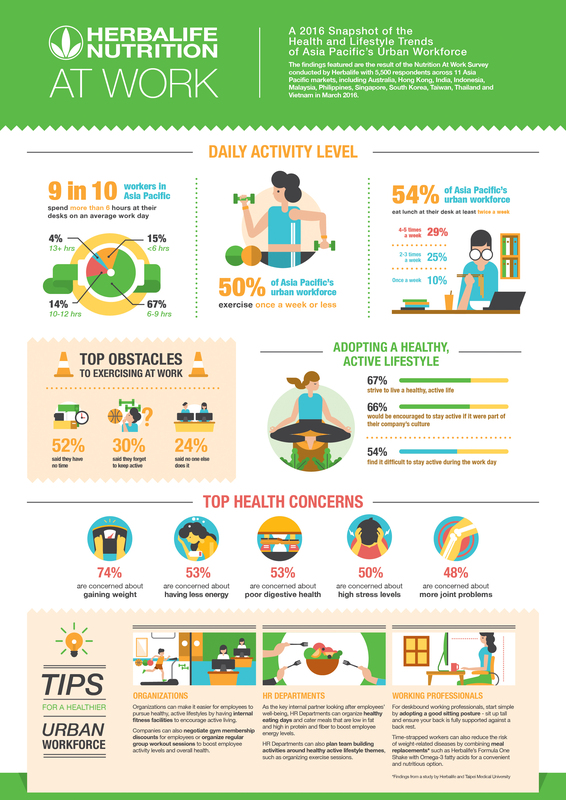 54% also said that it was difficult to stay active during the work day. This is despite close to seven in ten workers affirming that they strive to lead a healthy, active life. With health insurance and medical costs on the rise, no organisation would want their employees to be plagued with health problems. But can anything HR and organisations do really make a difference? The good news is, 66% of respondents said that they would be encouraged to stay active if it were part of the company culture. “While a majority of Asia Pacific’s workforce desire to lead healthy, active lives, there are tangible constraints preventing them from doing so,” said Frank Lamberti, Herbalife Senior vice president and managing director, North Asia. Attend Recruitment Interactive 2013 to find out how Unilever’s global diversity director is attracting the most creative and innov..